"It's not easy hating evil. You have to stoke your own fury until you become evil yourself." The Bad Sleep Well is so carefully and intricately plotted that it's hard to say much about it without heading into spoiler territory. It's a tale of corporate corruption which takes inspiration from Shakespeare's Hamlet, transforming the Kingdom of Denmark into 1960's Japan. Structurally it plays out like a backwards version of High and Low, beginning with a police procedural grounded in strict realism and slowly becoming smaller and more intimate as we learn who's working for whom. The film is a bit hard to follow (much like Tinker Tailor Soldier Spy), but this is where Kurosawa's expertise comes in: he makes it more comprehensible and constantly entertaining through his love of intricate staging. Akira Kurosawa is the master of the wide shot. Rather than shooting important character scenes exclusively in close up as most modern directors will, he lets everything play out in one take in a simple wide shot with deep focus so you can see how each of the characters is interacting with the others. Of course, this means that he needs actors who are immensely patient and willing to do lots of takes, which is probably one of the reasons he often worked with the same actors (most notably Toshiro Mifune). Two characters stand on opposite sides of the frame looking inward at the source of their conflict. It's easy to see how it works in still images, but the real magic is watching it play out smoothly on screen, which is why Kurosawa refrains from cutting as much as possible. He uses his edits as a tool to deliver information rather than a crutch to cover up mistakes or pick and choose elements of an actor's performance. 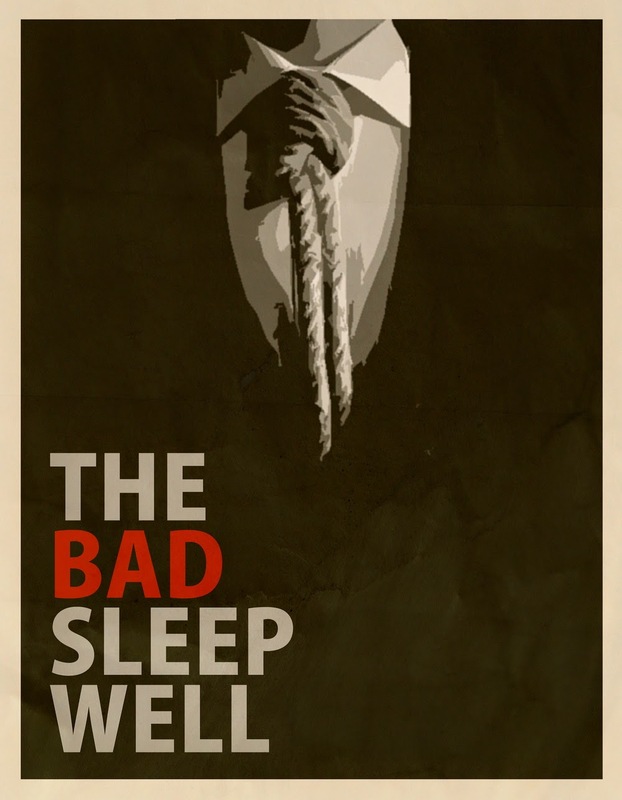 The Bad Sleep Well is a little too intensely plot-driven for my taste, but to its credit it uses its convoluted narrative to examine corporate nepotism and the dangerously self-destructive culture of ladder-climbing (it's kind of like if you turned The Apartment into a murder mystery). The characters are fantastic and the script is both dripping with thematic development ("It's pointless trying to use the law against evil people.") and awesomely silly exposition ("The thing is, the complexity of the plan only implicates you more deeply."). Akira Kurosawa is a cinematic magician.